Ken Ham claims that the theory of evolution inadequately describes the growth of Earth’s flora and fauna. Not only does he ignore the massive amount of empirical data supporting the theory, he then goes on to believe that life was created by God in primitive form. From there, he believes, different species (or “kinds”) steadily progressed via “micro-evolution.” This isn’t the end, I’m afraid. He also claims to have a personal relationship with that creator being. Most atheists know this is ridiculous. But not every atheist believes people like Ham should be taken seriously. 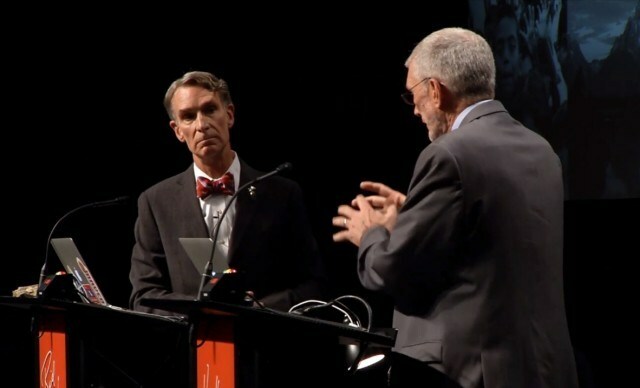 With this post, I do not intend to weigh in on the “Should we debate creationist?” question. That is a matter of choice. Personally, I find it valuable because I’m also a secularist. Battles are being waged in the Southern states of the USA over whether state-funded student textbooks should include Intelligent Design as a legitimate scientific field. Ignoring them won’t make them go away. If we aren’t careful, their beliefs could infect the most vital portion of our society: our children. This isn’t only an American problem, this is a global issue that must be addressed. So, how should you go about debating a Young-Earth Creationist? YEC’s (young-earth creationists) have no problem telling you why they believe the theory of evolution is flawed. In my experience, most won’t shy away from discussion. But before doing so, understand their position on evolution. Let’s use the Christian Evangelical Young-Earth Creationist as an example. What strategies and arguments must you be ready to defend against? Sometimes, they will argue that evolution is “only a theory.” Most on the opposite side of creationism often understand the difference between the traditional word and the scientific definition. Politely remind them of the difference. It’s important to point out that in order for the conclusion of a hypothesis to be considered as a theory, an immense amount of research and data must support the claim. They may try to assert the “controversy” claim, meaning that the scientific community is split on the validity of the theory. This isn’t true. It’s incredibly hard to pin down an exact percentage, but it’s generally accepted that almost all working scientists believe it to be fact. Evolution is even the core every biological scientific field. Without a working understanding of evolution, those sciences may have never achieved the success they have. Sometimes they ask for observational data confirming evolution. It exists, but not in the way they are wanting it. They want an example of a change in species, not a change among certain species’. If they ask this question, it will be apparent to you that they simply don’t understand the basic principles of evolution. Point this out and decide where to take the conversation from there. If they wish to continue and ask for observations, cite this example (which is one of my favorites): Italian Wall Lizards were introduced to an island of the coast of Croatia in 1971. 10 lizards were transplanted. In 2008, over 5000 Italian Wall Lizards inhabited the island, all direct descendants of the previous ten. The most interesting part: They had completely different intestinal structures and a larger head with a stronger bite. Natural selection forced the species to change so drastically. Finally, they may use “irreducible complexity” as a valid reason to believe the creation myth. This simply denies evolution by claiming life on Earth is far too complex to have evolved in the way the theory holds. To the average person, this may make sense. But if you look further, it doesn’t. “Everything works and looks so perfect that it must have had a designer!” This is top-down logic and it doesn’t work. The best way to describe this, I’ll quote Douglas Adams from a speech he gave in Cambridge in 1998 – “Imagine a puddle waking up one morning and thinking, ‘This is an interesting world I find myself in — an interesting hole I find myself in — fits me rather neatly, doesn’t it? In fact it fits me staggeringly well, must have been made to have me in it!’” It’s unsurprising to find human beings that feel they and the rest of the animate and inanimate mater was particularly created. We evolve and adapt to our surroundings. With the primitive questioning and thinking capabilities of early man, it was only a matter of time before we began to say we were the best and everything was created for us. Of course, this isn’t the most comprehensive of lists. It’s meant to act as a starter guide, citing many of the most commonly posited arguments for Creationism. If you decide to watch the upcoming debate, pay close attention to Ham’s arguments. Write them down, study the opposition, and better yourself for the next time you find yourself tangling with a Young-Earth Creationist. Previous Previous post: “Unstable Ground: Challenging Arguments for Christ’s Existence” now up at Atheist Republic!